BEAUSSIER DE LISLE, LOUIS-JOSEPH, naval officer; baptized 15 March 1701 in Toulon, France, son of Louis Beaussier, port captain, and Claire Portanier; m. 10 Nov. 1757, at Brest, Louise-Françoise Jouenne de Lorière, by whom he had two daughters; d. 4 June 1765 at the chateau of Mollien near Brest. Louis-Joseph Beaussier de Lisle belonged to one of the oldest families of Toulon. In 1716 he started sailing on merchant ships to the Levant and in 1724 he entered the king’s service as a “junior pilot” on the Solide bound for Constantinople. After cruises off North Africa and in the eastern Mediterranean, he was appointed port ensign at Brest on 1 Jan. 1732. He served in European waters; then on 1 March 1739 he was promoted port lieutenant. In 1744–45, commanding the storeship Chameau, he led an expedition to Louisiana and Saint-Domingue (Hispaniola). In September 1746 he was given command of the frigate Subtile, with the task of escorting convoys along the coasts of Brittany and of meeting what remained of the squadron of the Duc d’Anville [La Rochefoucauld] as it returned from Acadia. On 29 November he encountered two English squadrons off Port-Louis (dept. of Morbihan), France; he escaped from one but was captured the next day after a gallant defence against a ship of the line and a frigate. He was back in Brest in January 1747. Appointed naval captain and port captain on 1 Jan. 1749, on 30 May 1750 Beaussier was made a knight of the order of Saint-Louis. 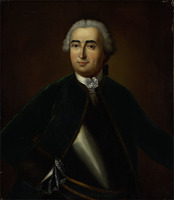 In 1755 he received command of the Défenseur, a ship of the line in the squadron commanded by the Comte Dubois de La Motte [Cahideuc], which took help to Canada and Louisbourg, Île Royale (Cape Breton Island). The following year he reached Quebec successfully with a squadron of six ships bringing the Marquis de Montcalm and 1,300 reinforcements. 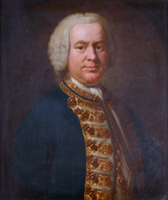 Despite the efforts of the English squadron under Charles Holmes he succeeded in entering Louisbourg harbour on 26 July. The next day he left again with the Héros to engage two English ships of the line; they had to retire after being badly damaged. The second in-command of the ship, Luc-Urbain Du Boëxic de Guichen, wrote to Machault, the minister of Marine: “This combat did M. Beaussier boundless honour.” Beaussier returned to Brest in September, once more eluding the English. The mission, which was carried out “in a praiseworthy manner,” brought him a pension of 1,000 livres. His successes prompted the minister to entrust him with the same task at the end of 1757, but illness delayed him for some months. He then left, commanding the Entreprenant and accompanied by four other ships; he arrived at Louisbourg and joined with the governor, Drucour [Boschenry], and the naval commander, Jean-Antoine Charry Desgouttes, in its defence. With the fall of the fortress on 27 July 1758, he was taken prisoner with the garrison. After his return to France on 23 Feb. 1759, Beaussier was ordered to attack the coasts of Brazil, but the signing of peace preliminaries meant that the operation was cancelled. In April 1763 he was sent to repossess Martinique, Guadeloupe, and St Lucia, which had been returned to France by the peace treaty. He was promoted rear-admiral on 1 Oct. 1764. Endowed with “an extraordinary intelligence for everything concerning port works and an untiring diligence for such irksome routine,” Beaussier also demonstrated at sea the most brilliant qualities as sailor and combatant. AN, Marine, B2, 370, 371; B4, 58, 68, 73, 76, 80, 104, 105; C1, 165; 166, f.156; C2, 53, f.391; C6, 1203, ff.53, 281v; 1204, f.332v; C7, 22 (dossier Beaussier de Lisle); G, 38, f.72. Étienne Taillemite et al., Tables des noms de lieux, de personnes, de matières et de navires, soussérie B1, B2 et B3 (Paris, 1969), 34. Octave Teissier, Armorial de la ville de Toulon: familles consulaires, officiers de marine, noblesse et bourgeoisie (Toulon, 1900), 72. Lacour-Gayet, La marine militaire sous Louis XV (1910), 196, 254, 382, 394. Gustave Lambert, Histoire de Toulon (4v., Toulon, 1886–92), IV, 342. Troude, Batailles navales de la France, I, 327, 337, 369. Pierre Margry, “Une famille dans la marine au XVIIIe s.: les Beaussier,” Revue maritime et coloniale (Paris), 1879–81. Étienne Taillemite, “BEAUSSIER DE LISLE, LOUIS-JOSEPH,” in Dictionary of Canadian Biography, vol. 3, University of Toronto/Université Laval, 2003–, accessed April 24, 2019, http://www.biographi.ca/en/bio/beaussier_de_lisle_louis_joseph_3E.html.